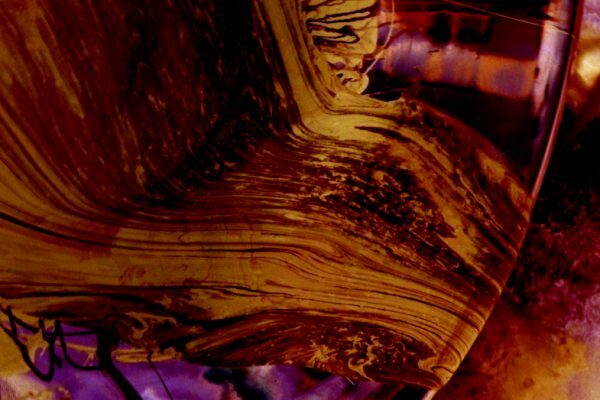 Paint layered into a mixing bowl and poured shows non-diffusive mixing, here seen color-reversed. 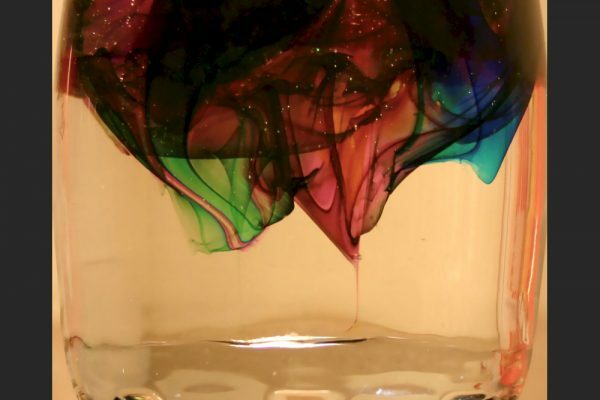 Layers of food dye pushed into corn syrup illustrates non-diffusive mixing. Sunlight is concentrated into ‘caustics’ by small waves on the water surface, here near a Caribbean beach. Self-propelled water droplets race up a slight incline on a serrated heated plate due to the Liedenfrost effect. A hot serrated surface can propel droplets up a slight incline due to Liedenfrost film boiling. 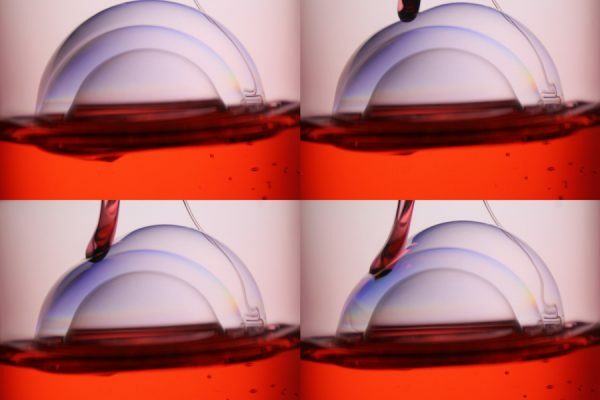 An ‘Ooze Tube’ toy can create concentric bubbles strong enough to deflect a drop. Meanwhile, an older dropping stream undergoes the rope coiling instability. 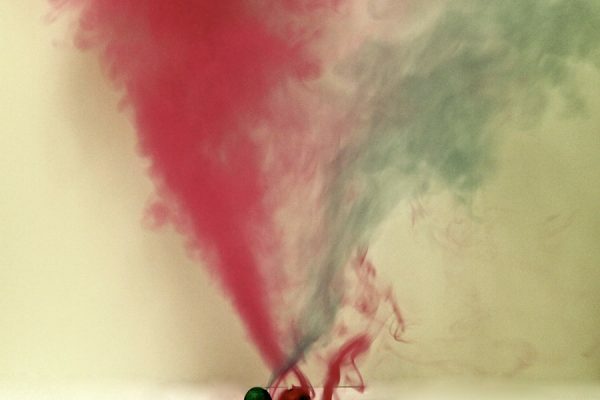 Commercial smoke bombs generate particles large enough to produce colored smoke. 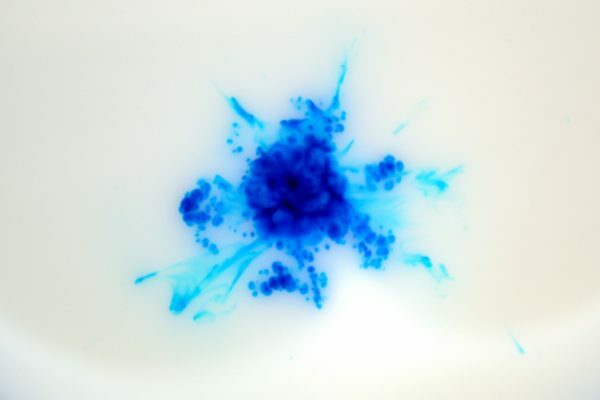 Food dye dropped into milk forms complex splash patterns when viewed from above. 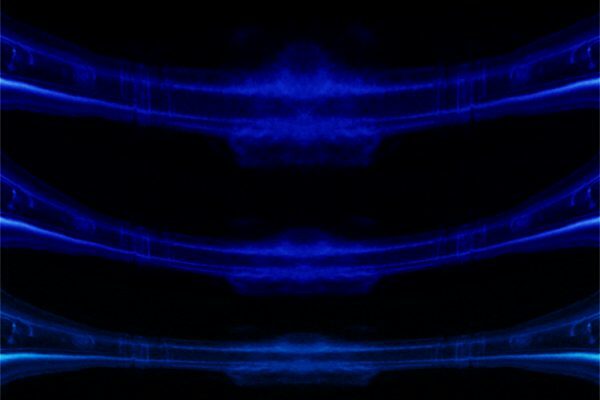 A premixed laminar isopropyl alcohol flame, heavily processed to emulate a “Dead Space Resource Integration Gear” visor. 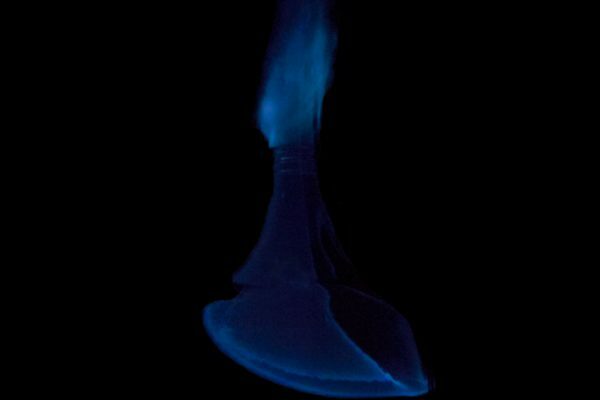 A premixed laminar isopropyl alcohol flame propagates in a glass jug (whoosh bottle).